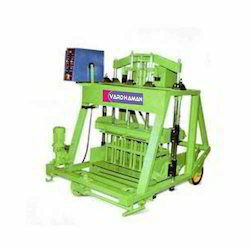 Owing to a vast manufacturing facility and a competent team of professionals, we are able to dispatch a wide range of Hydraulic Block Machines. This range is made utilizing optimum grade raw material and latest machinery in adherence with the international quality norms and standards. Along with this, the offered range is available in different customized specifications and forms in accordance with the diverse requirements of esteemed clients. 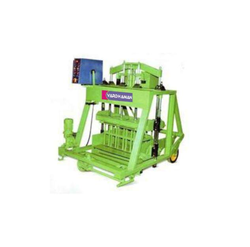 We are an eminent name, which is engaged in delivering a comprehensive range of Concrete Block Machines. The offered range is developed utilizing superior grade raw material, sourced from trusted vendors of the market. Along with this, the offered range is suitably tested on different customized specifications in accordance with diverse requirements of esteemed clients.